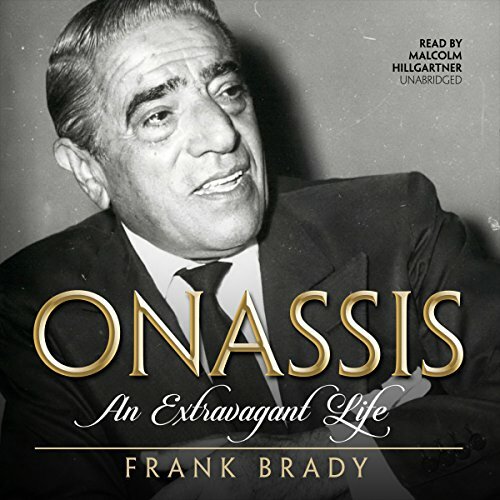 Beginning with Aristotle Onassis' childhood and his first financial success as an Argentine tobacco dealer, author Frank Brady gives the listener an intimate account of Onassis' rise to the ranks of super-billionaire. Brady captures all the drama and romance of this glamorous tycoon, peeling away the persona to reveal the husband, lover, father, financial wiz, and companion to the Churchills, Kennedys, and Roosevelts. ©1978 Frank Brady (P)2017 Blackstone Audio, Inc. It is sad that there are so few biographies written about Onassis. He is a fascinating character. A very interesting account of Onassis life. He persevered and reached the top of the mountain of wealth. Not an easy thing to accomplish. I can't say money did not make him happy because it brought him satisfaction, comfort, and access to other fascinating and important people. I don't think he was a tragic wealthy man. He was an intelligent man and could be ruthless (in his position he had to be). A good and rare biography of Aristole Onassis.